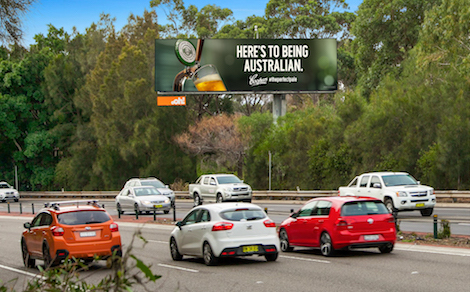 The campaign celebrated Coopers as a truly Australian brand with two different creative messages centering on the famous Coopers Pale Ale and on Coopers’ Australian identity. 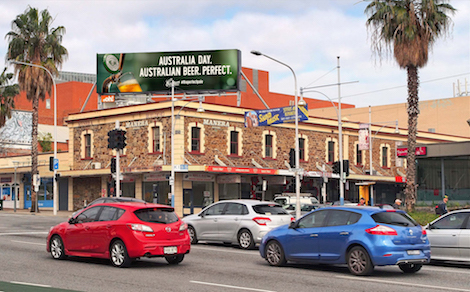 It appeared simultaneously on 40 of oOh!’s large format digital roadside billboards nationally as well as a range of oOh!’s Fly assets throughout the day. This entry was posted on Monday, January 30th, 2017 at 07:07 @338 and is filed under DailyDOOH Update. You can follow any responses to this entry through the RSS 2.0 feed. You can leave a response, or trackback from your own site.